With the minor league season underway, it is time to analyze notable prospect performances through April 15th, the good and the bad. Since less than two weeks are in the books, please note this bright, flashing warning: SMALL SAMPLE SIZE! 16. Scott Kingery, 2B, Philadelphia Phillies. After signing a six-year extension, Kingery was a surprise addition to the Phillies’ Opening Day roster. Used all over the field, he should gain multi-position eligibility at second base, shortstop, third base, and outfield. Already, Kingery is hitting for power (7 doubles and 2 home runs) while contributing on the bases (2 stolen bases). 39. Juan Soto, OF, Washington Nationals. This year, Soto returns to Low-A after an injury-plagued 2017 season. Thus far, he picked up where he left off, hitting .361/.489/.861 with 4 home runs, 2 stolen bases, and 10 walks. Fully healthy, Soto is an elite prospect and not long for Low-A. Expect a quick promotion to High-A. 70. Tyler O’Neill, OF, St. Louis Cardinals. Power is O’Neill’s calling card and he is delivering it this year with 4 home runs, 1 triple, and 2 doubles. Building upon his strong finish in Triple-A last year, he is making a case for a promotion to the majors. If he can keep his swing-and-miss in check (10 strikeouts already), he could be a fantasy monster. 102. Colton Welker, 3B, Colorado Rockies. This season, Welker plays half his games in the extremely hitter-friendly confines of Lancaster. Thus far, he played 7 home games, slashing .522/.600/.870 in those games (.455/.578/.848 on the year). Like Brendan Rodgers last year, Welker could post video game numbers at home. 173. Josh Naylor, 1B, San Diego Padres. The biggest riser thus far, Naylor is enjoying a breakout start to the season, hitting .472/.545/1.000 with 6 home runs, including an inside-the-park homer. A disciplined hitter with latent power, he may finally be truly tapping into his enormous raw power. Connor Wong, C, Los Angeles Dodgers is adapting well to High-A, hitting .361/.439/.889 with 5 home runs and 2 stolen bases, though with 17 strikeouts. A third-round pick in the 2017 draft, he is an advanced college bat and should move quickly. Like Austin Barnes, Wong is athletic and versatile, already seeing playing time at second base. Micker Adolfo, OF, Chicago White Sox has enormous power. Now, he is starting to supplement his power with improved hitting ability and he is impressing so far in High-A (.395/.435/.651). Vidal Brujan, 2B, Tampa Bay Rays and Myles Straw, OF, Houston Astros lead the Minors with 8 stolen bases already. In addition, Straw leads the Minors with a minuscule 1.2% swinging strike percentage. Brendan McKay, 1B/LHP, Tampa Bay Rays is a walking machine with 11 walks in 27 plate appearances (40.7%)! Max Schrock, 2B, St. Louis Cardinals continues to hit in Triple-A, slashing .386/.426/.477 with 4 stolen bases and just 2 strikeouts. Seuly Matias, OF, Kansas City Royals is all-or-nothing, with 4 home runs and 17 strikeouts (44.7%). The power is legitimate, but his hit tool is questionable and he tends to swing out of his shoes. 14. Lewis Brinson, OF, Miami Marlins. Opening the season as the leadoff hitter for the Marlins, Brinson has fallen in the order after an abysmal start. Hitting just .131/.185/.131 with 20 strikeouts in 66 plate appearances (30.3%), he likely needs more seasoning in the Minors. 40. Estevan Florial, OF, New York Yankees. Florial’s return to the Florida State League is not going as expected. Last year, he made High-A look easy, hitting .303/.368/.461 over 19 games. Meanwhile, this year has been a struggle, as he has 17 strikeouts (36.2%) and just 2 extra-base hits. 59. Heliot Ramos, OF, San Francisco Giants. 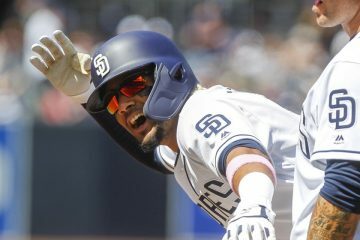 A power/speed threat, Ramos has exhibited little of either, with 0 home runs and 1 stolen base on 4 attempts. In addition, he has 14 strikeouts and 0 walks. 76. Bobby Bradley, 1B, Cleveland Indians. Despite a strong performance in Double-A last year, Bradley returned to the level and is off to a poor start (2 for 30 with 0 line drives). 89. Isan Diaz, 2B, Miami Marlins. 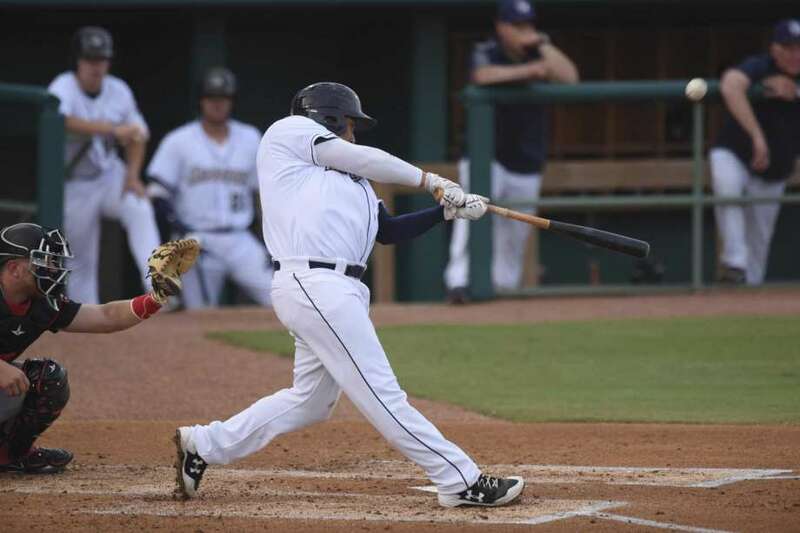 In 37 Double-A plate appearances, Diaz has just one hit and has yet to hit a line drive. On the bright side, he has 9 walks. 122. Jeren Kendall, OF, Los Angeles Dodgers. Long strikeout-prone, Kendall is putting his swing-and-miss prowess on full display with 20 strikeouts in 44 plate appearances (45.5%). Meanwhile, he is not doing much with the bat or his plus speed (.184/.289/.295 and 2-for-3 on the bases). 3. Shohei Ohtani, RHP/DH, Los Angeles Angels. After a seemingly disastrous spring, Ohtani flipped a switch when games began to matter. So far, he is as advertised. With elite, bat-missing stuff, Ohtani leads the majors with an incredible 23.5% swinging strike percentage. In fact, his upper-80s splitter is by far the best pitch in baseball, generating 26 whiffs on 58 pitches (44.8%)! Meanwhile, at the plate, Ohtani is slashing .367/.424/.767 with 3 home runs. He is truly an incredible talent! 49. Jack Flaherty, RHP, St. Louis Cardinals. After starting the season strong in the majors (5 IP, 1 ER, 9 K), Flaherty returned to Triple-A and remained dominant (13 IP, 4 ER, 16 K). 144. Joey Lucchesi, LHP, San Diego Padres. In his last three starts, Lucchesi allowed just 1 earned run and struck out 24 batters in 17 innings. Relying on deception, movement, and control, he is managing to confound hitters. With only two pitches, however, it is unclear how long his success will last. 176. Shane Bieber, RHP, Cleveland Indians. A command and control specialist, Bieber has faced little resistance in Double-A, with 13 scoreless innings and 0 walks. 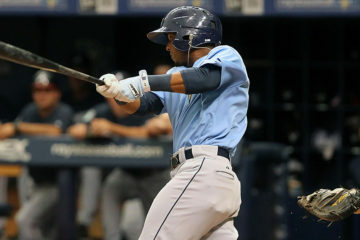 Yonny Chirinos, RHP, Tampa Bay Rays is providing a glimmer of hope for a depleted Rays team. Thus far, he has yet to allow a run across 14 1/3 innings, showcasing a solid and deep repertoire, including a 94 mph sinker, 88 mph hard slider, and a 86 mph splitter. James Naile, RHP, Oakland Athletics has thrown 17 2/3 scoreless innings in Triple-A, with excellent command of four pitches, including a low-90s sinker. Given the state of the Athletics’ rotation, Naile could receive a promotion shortly and could surprise. Griffin Canning, RHP, Los Angeles Angels is displaying improved, mid-90s velocity with two electric breaking balls, leading to 8 2/3 scoreless innings. Wil Crowe, RHP, Washington Nationals generated 29.4% swinging strikes with an impressive 12-to-1 strikeout to walk ratio over 10 innings. Justin Dunn, RHP, New York Mets; Tony Santillan, RHP, Cincinnati Reds; Corbin Martin, RHP, Houston Astros; Bryse Wilson, RHP, Atlanta Braves; and Jasseel De La Cruz, RHP, Atlanta Braves. 19. Sixto Sanchez, RHP, Philadelphia Phillies. Only just making his season debut on Sunday, Sanchez did not enjoy his first taste of High-A, allowing 11 baserunners in 4 innings. 129. Riley Pint, RHP, Colorado Rockies. Pint lasted just 1/3 of an inning, in which he gave up 2 hits and 2 walks, before leaving with an arm injury. Now, he is on the disabled list with dreaded forearm tightness. Stay tuned. 170. Freicer Perez, RHP, New York Yankees. The tall flamethrower has started slow in the Florida State League, with 8 earned runs and 6 walks over two starts. 177. Tyler Beede, RHP, San Francisco Giants. Following a promotion to the majors, Beede has performed poorly, walking 8 across 7 2/3 innings. 190. Tanner Houck, RHP, Boston Red Sox. A first-round pick in the 2017 draft, Houck carries high expectations entering the season. So far, he has been terrible, allowing 3 home runs and 9 walks in 9 innings. Follow me on Twitter @jaroche6 to keep up with notable daily developments! 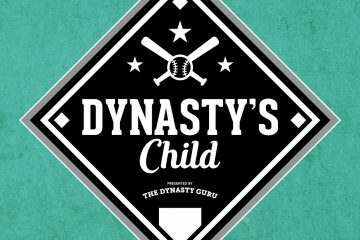 TDG Podcast, Episode 31: "Xander... is... a pile of poo"